Gin & Bleach: two clear liquids aiming for purity, bordering the toxic. The clarity’s either a spirited disinfectant or an immaculate intoxication. 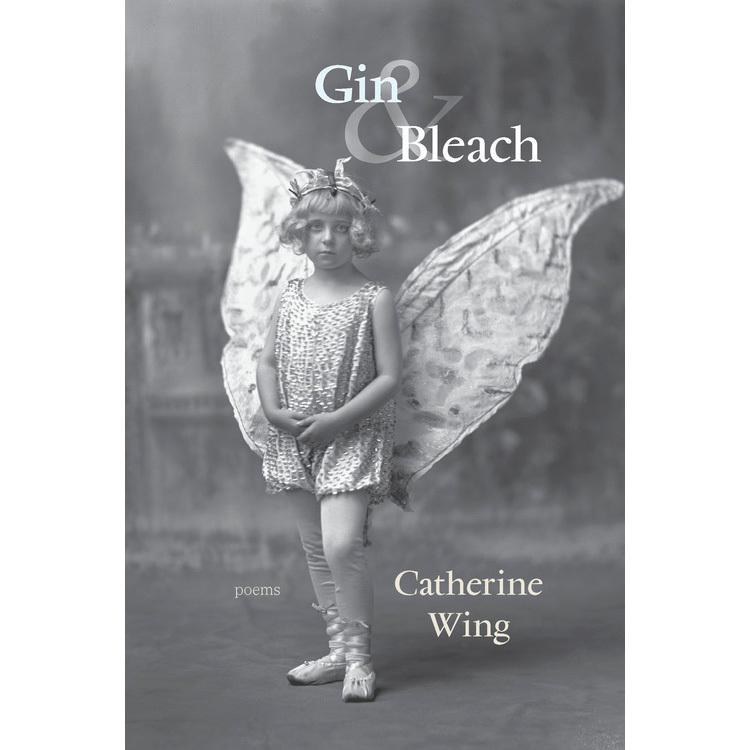 The book takes its title from a line of Cody Walker’s: “Blessed is the woman who mixes gin and bleach.” Wing’s poems are soaked in that cocktail, mixing doubt, loneliness, rough elbows, and razor focus. Gin & Bleach is two parts fist-shaking (at the gods, at the world, at oneself) and one part head-in-one’s-hand. It riddles for a straight answer, aiming for both play and Frost’s play for mortal stakes.